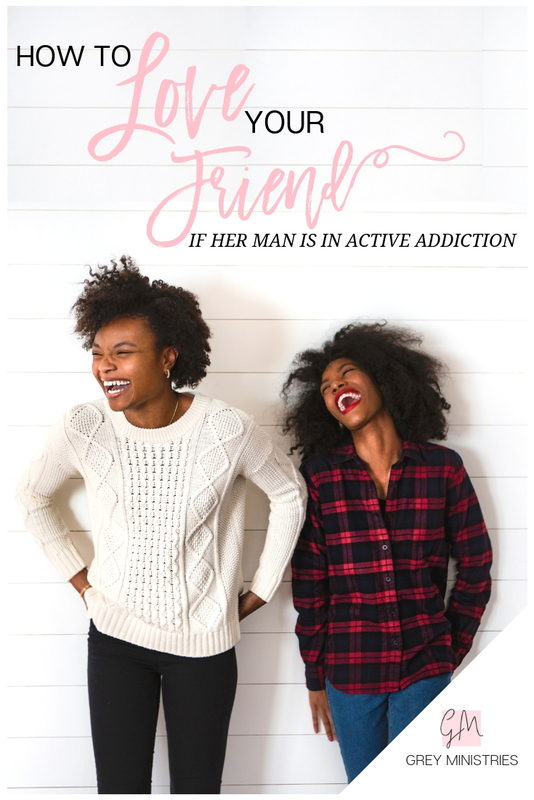 If you’re reading this post as a friend of someone whose spouse has an addiction, I’d like to say, your friend is lucky to have someone like you in her life. Even reading a post on how to walk beside her during this time in her life is huge. Thank you for choosing love instead of ignorance. What does it mean to be a godly friend? If you have never experienced loving someone who struggles with an addiction, you’re probably not going to know what to say to someone living it. Even with the best of intentions, the wrong thing can still be said. So what do you do? Well, it’s simple- you love her. If your friend’s husband is in active addiction, this is definitely a time of adversity. It is going to be one of the hardest things she will ever go through. If you learned of her husband's addiction from someone else, tell her you know. Supporting her and letting her know you’ve got her back is the thing she needs most right now. Don’t just tell her you’re praying for her, but actually do it. Get on your knees and pray that God will give her strength and guidance because she’s going to need it. While you’re at it, pray for her husband too. My first instinct with my husband’s addiction was to hide it. I only spoke about it with people who already knew. I was scared and completely unaware of the reality of addiction but the stigma, on the other hand, was already familiar to me. If your friend hasn't disclosed all of the details to you yet, it's nothing personal, it is her defense mechanism. Unfortunately, addiction makes people do dumb things. Criminal things. People I considered friends were understandably bothered by my husband’s actions (I was bothered too! ), but they distanced themselves from me as well. I was invited to events while he was not. 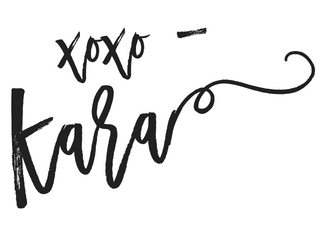 Going to an event where my husband wasn’t welcome made me feel unwelcome too. It was offensive! It’s not like they were going to “catch it”. Addiction isn’t contagious. But it wasn’t about that. It was about being “too good” to be around “someone like him”. That part hurt the most. So-called friends who had known him for many years prior to his addiction quickly forgot the man he was before the drugs. They also conveniently forgot the man he was capable of being. Eventually, they forgot him altogether. My husband’s life ceased to matter after he had been labelled as an addict. To his old friends, he was now just an addict and a criminal, but to me, he was still my husband. This is one reason the stigma of addiction can be so dangerous. Hitting rock-bottom can be the reason someone seeks recovery, but hitting rock-bottom without the strength to get up can also be the reason they never do. We can love people without agreeing with their actions or enabling them. Yes, addiction changes people. Yes, we may not like them right that instant. But when did love become conditional? The Bible tells us to call them out and hold them accountable! Tell on them! Love them even if you don't like them. We should also let them know when they're ready to seek recovery, we'll be there for them because going into battle alone while beaten up and broken down is a death sentence. When we're riding into battle with an army behind us, the enemy doesn't look quite so big. And your friend, she needs your support too, because she is on the frontlines, holding down the fort, waiting for someone to come along and fight with her. Regardless of your view on addiction, one thing always remains true- there is a person inside of that “addict”, and your friend loves that person. Addiction is one of those things that you cannot understand until you have experienced it yourself. Those who struggle with addiction aren’t proud of their addiction. People who are ashamed of themselves expect others to be ashamed of them too. Don’t be. Choose the unexpected reaction by loving them despite their mistakes. Ignore the stigma long enough to see your friend’s husband for the brokenhearted, desperate sinner (like the rest of us) that Jesus came to save. Jesus spent His life surrounded by the kind of people society tries to avoid. Finding the right treatment for addiction isn’t as easy as finding the nearest rehab, especially when mental illness is involved. If you think her husband needs to go to rehab, she probably does too; but rehab isn’t always a viable solution, and sometimes other options are just as effective. Most rehabs aren’t free, and the funds may not be there. Maybe he has already been several times. Maybe he has refused to go and she is waiting prayerfully for his heart to soften. Pray for God’s guidance, provision and discernment when seeking treatment options for her husband. Click to Tweet: Those who struggle with addiction aren't proud of their addiction. People that are ashamed of themselves expect others to be ashamed of them too. Don’t be. Choose the unexpected by loving them despite their mistakes. Your friend is going to make some good choices and some bad ones; but as long as she’s going to God with these choices, the consequences of her decisions are going to teach her lessons and shape her into the woman God wants her to be. I urge you to use her experiences to educate yourself as well. Addiction rips families, lives and futures to shreds. If addiction is the storm, the aftermath of addiction is the emotional equivalent of the coast following a hurricane. But just like the coast, she’s a lot stronger and persevering then anyone gives her credit for. Ride out the storm with her. You may be the strength and breath of life she needs to keep fighting for his recovery.